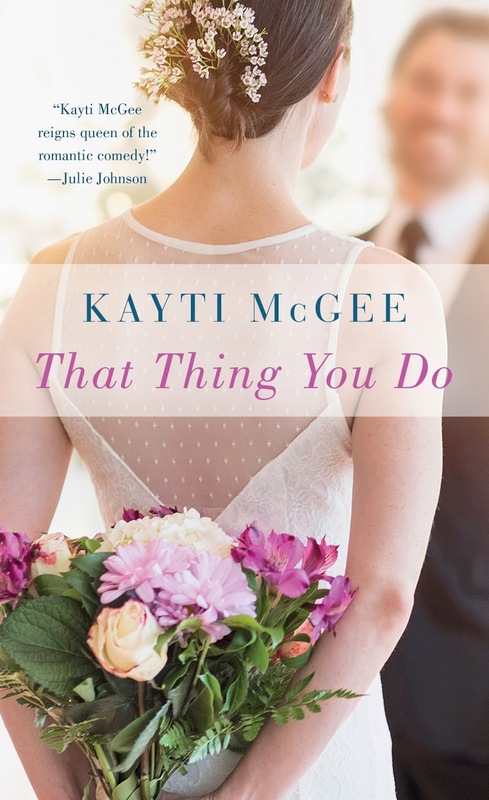 Kayti McGee is already known for her romantic comedy novels that sparkle with wit and charm. Readers are drawn to her sassy heroines and laugh out loud plotlines. In her newest, THAT THING YOU DO (August 29, 2017; St. Martin’s Paperbacks) three friends make a pact in high school that states that none of the girls will marry unless each one agrees with the match. Years later, Greta and her two BFFs test the extent of this pact with Jon, the hottest new DJ who just happened to be at her sister’s wedding. Greta is always the bridesmaid - and that's fine with her. She has no desire to date after a bad relationship left her reeling. Her friends aren't having that, though, and after yet another wedding, she finds herself being set up with the DJ. Deciding to save herself the trouble of an inevitable breakup, Greta orchestrates a series of fake dates designed to trick her friends into thinking she's putting herself out there. But Jon has plans of his own, and she never counted on the sparks that fly between them. Can a girl who doesn't believe in love find it in the least likely place of all? With the heart and sass of a Susan Elizabeth Phillips novel and the humor and sexiness of bestseller Alice Clayton, THAT THING YOU DO has all the elements of a great romantic comedy including plenty of wedding mischief, just in time for wedding season! Kayti McGee's "That Thing You Do" is a good read. What happens when you and your two best friend make a pact? That's right, you pick each other men to date and marry. Greta is a nanny and at her older sister's wedding when her 2 best friends pick the DJ for her to date. They eye each other during the night and end up chatting a bit. She isn't interested in dating, but agreed to what her two friends said. Can Greta pull off a fake relationship? Find out in this awesome book!!! Kayti McGee is a Kansas City native who now calls Colorado home. When she isn't writing, she's making up recipes to go with her favorite books.